The hunt has evolved in The Predator! 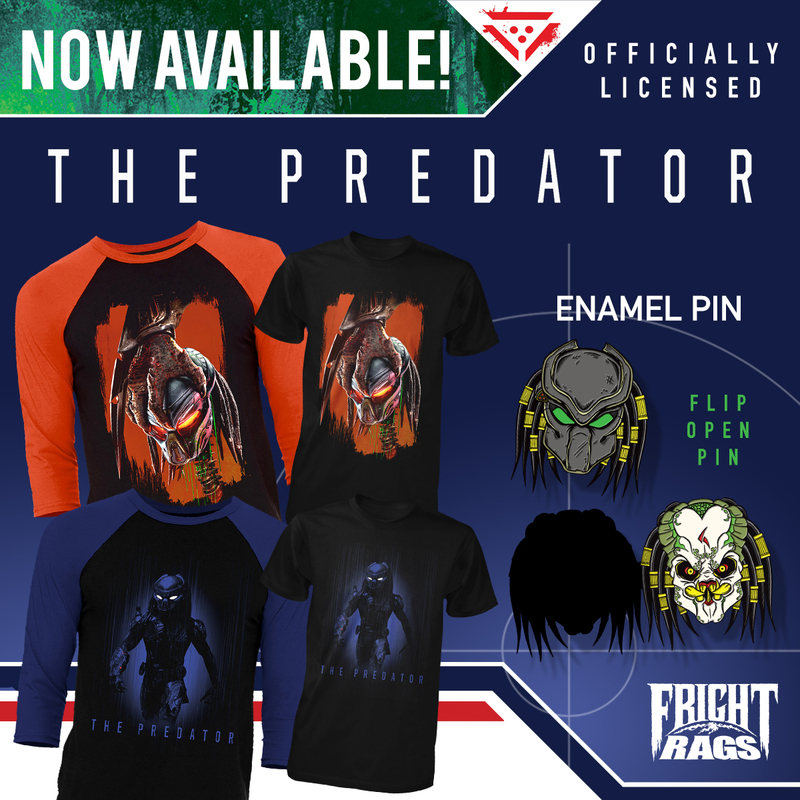 Fright-Rags celebrates the release of the new entry in the Predator franchise – in theaters now via 20th Century Fox – with officially licensed apparel, plus new shirts from Teen Wolf and Slashback Video. The Predator returns with two official designs from Fright-Rags, both of which are available on T-shirts and baseball tees. There’s also an exclusive Predator enamel pin with a flip-open mask to reveal the ugly mother behind it. 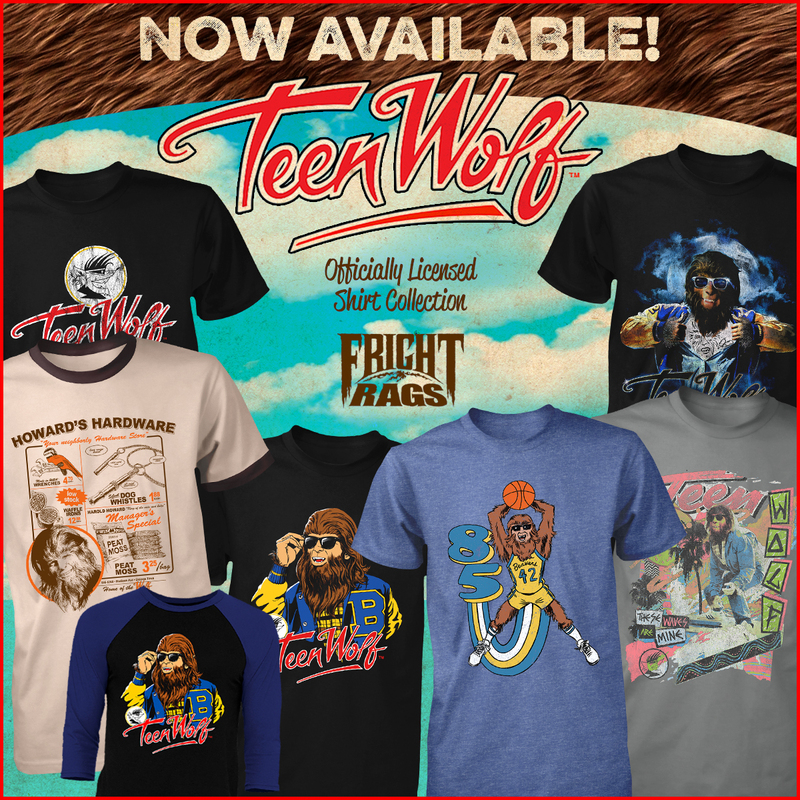 Unleash your inner werewolf with Fright-Rags’ Teen Wolf collection. The ’80s classic starring Michael J. Fox has received six new shirt designs, one of which is also available on baseball tees. Fright-Rags is a proud sponsor of Slashback Video. 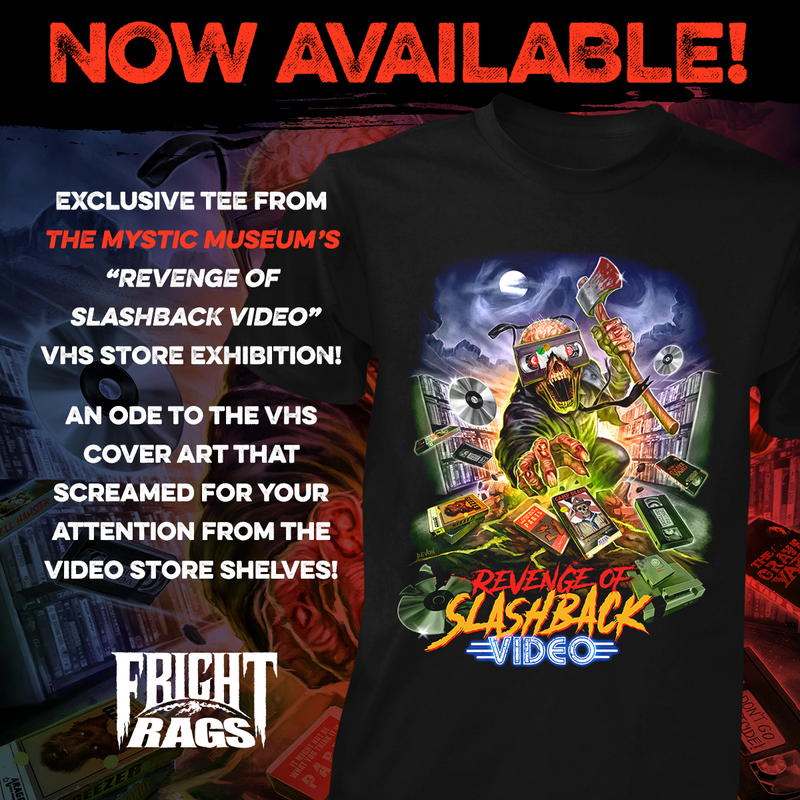 If you’re unable to make it to the video store art exhibition – currently on display at The Mystic Museum in Burbank, CA – you can relive the glory days of VHS with Fright-Rags’ Revenge of Slashback Video shirt. The Predator, Teen Wolf, and Slashback Video apparel is available now at Fright-Rags.com.